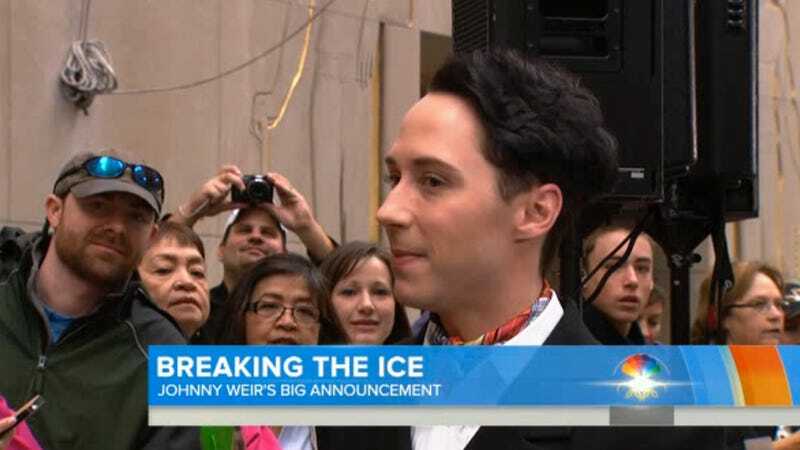 This morning on Today, Johnny Weir announced that he has officially retired from competitive skating and will not participate in a third Olympic Games. "I get old," he offered up as an explaination. Weir had an additional announcement: He will be joining NBC as an "expert figure skating analyst" — doing commentary on the Winter Games in Sochi, Russia. I’m a gay American. I’ve married into a Russian family. I’ve been a longtime supporter of Russia, the culture, the country, the language, everything about Russia… While this law is a terrible thing that you can’t be gay publicly in Russia, I plan to be there in full support of our brothers and sisters there and not be afraid. If I get arrested, I get arrested; if not, great, but our presence is needed. For all the Olympians that worked so hard, a boycott is just the worst thing that you could do to all these young people. Interesting that Weir can understand both sides — what it means for an openly gay person to go to a country with repressive and homophobic laws, and also what it means for an athlete to be in the Olympics — and feels determined to support the athletes.